The time has come, the epic series finale that we’ve all been waiting for. A final showdown between two warring factions, both who have their own ways of enforcing peace. Will this issue nail the landing? Warning the following review will contain spoilers, so please read your comic before reading this review. Trust me you don’t want this one spoiled for you. You have been warned. DARKSTARS! GREEN LANTERNS! INSIDE A FIFTEEN FOOTHIGH STEEL CAGE!!! Okay that last sentence isn’t true, but after several issues of buildup and soul searching the two factions must clash! So strap yourselves in, and get ready for a slobberknocker. Warning the following review will contain spoilers, so be sure to read your comic before reading this review! You have been warned. 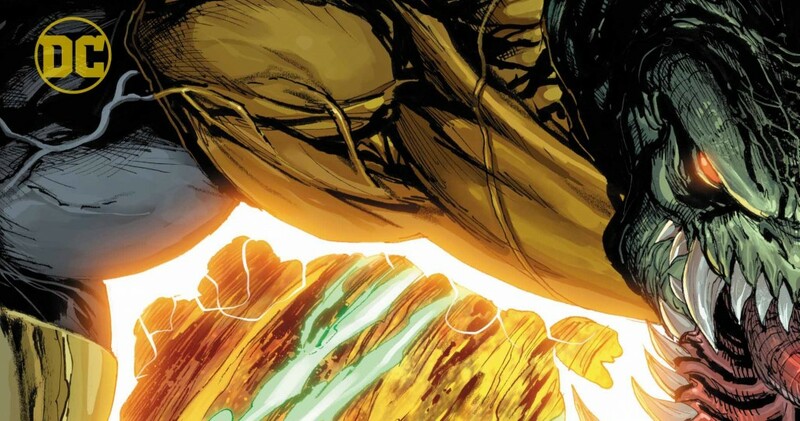 In Hal Jordan and the Green Lantern Corps #47, Robert Venditti joins with Arttist Fernando Pasarin to finally get down to the climax of the ‘Darkstars Rising’ arc. Spoilers ahead! Temptation is a constant in human history. Whether it’s the story of Jesus or that time your weird neighbor told you that he almost signed into a timeshare. Even in the world of superheroes, temptation lingers. Even though superheroes are meant to be ideal versions of ourselves, but even our ideal versions contain dark secrets. Warning the following review will contain spoilers, so be sure to read your comic before continuing on. You have been warned. Pieces on a chessboard. Does anybody actually play chess anymore? Maybe on your smartphones? 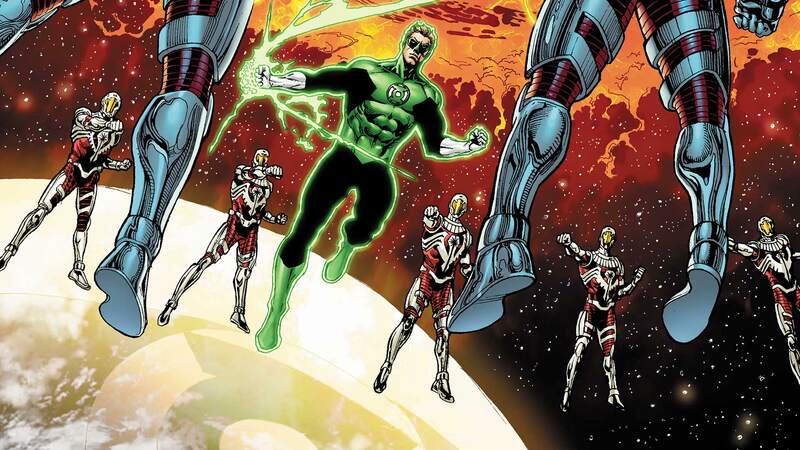 As much as I’v enjoyed the battles between The Green Lantern Corps and The Darkstars, it’s the moments in between that have made this arc great to me. 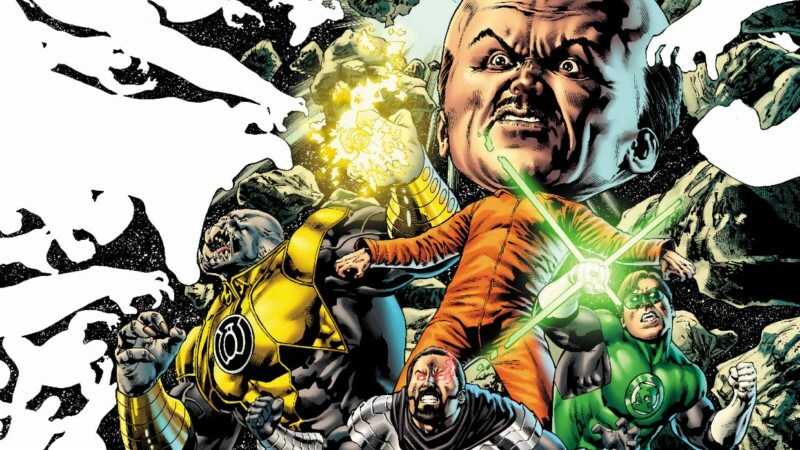 The Darkstars constantly stoking the flames by killing all those in the name of justice, forcing the Green Lanterns to lay down with strange bed fellows. Needless to say that the Lanterns have been put into a interesting corner. Warning the following review will contain spoilers. You have been warned. 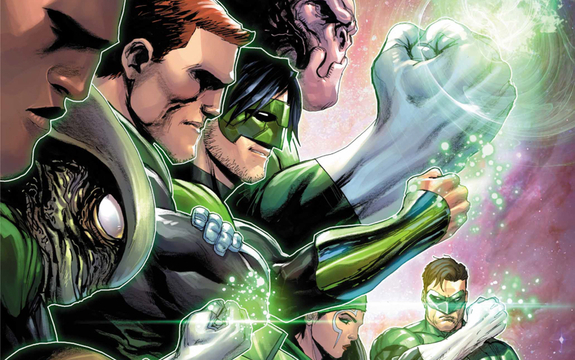 Summer is right around the corner and the heat is starting to rise for The Green Lantern Corps. 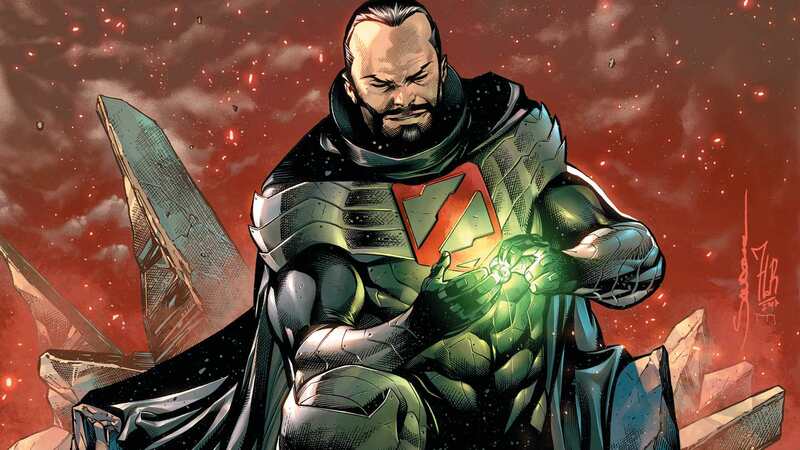 Venditti has positioned the Darkstars as a credible threat, while also making their plight feel personal by using Tomar’s inner turmoil turned violent. Even though I’ve read hundred of stories where former friends have to collide, I still anticipate each and every time because it will ultimately end in some sort of emotional gut punch. Warning the following review will contain spoilers. So remember to read your comic before reading this review. You have been warned. Click here to read the full article. Have you ever experienced something that truly opened your eyes? Or at least known someone who believes their life has changed? In my experience that eye opening experience isn’t always a healthy one, and slowly but surely you or someone else morphs into something that is unrecognizable. Sometimes a new perspective isn’t always a good perspective. Warning the following review will contain spoilers. So remember to read your comic before reading further. You have been warned. Duality is one of the greatest aspects or humanoid life. No one is born good or evil, we all have the capacity for both. Even the most stoic of heroes can succumb to darkness that lies inside. I mean look no further than Hal Jordan himself. Sure that event is not long canon (I don’t think it is? )but fans will never forget Jordan’s trip to the dark side. Perhaps another Lantern is fated to walk that very same path. Warning the following comic contain spoilers. So be sure to read your comic before continuing on. You have been warned. 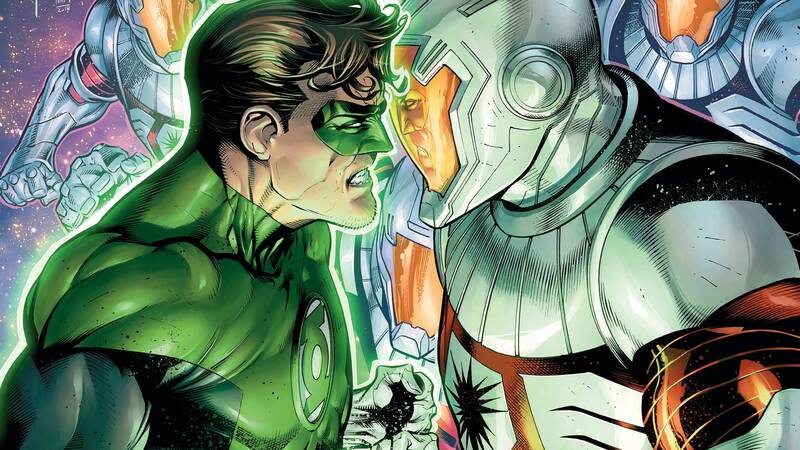 Will Hal Jordan actually arrest General Zod? 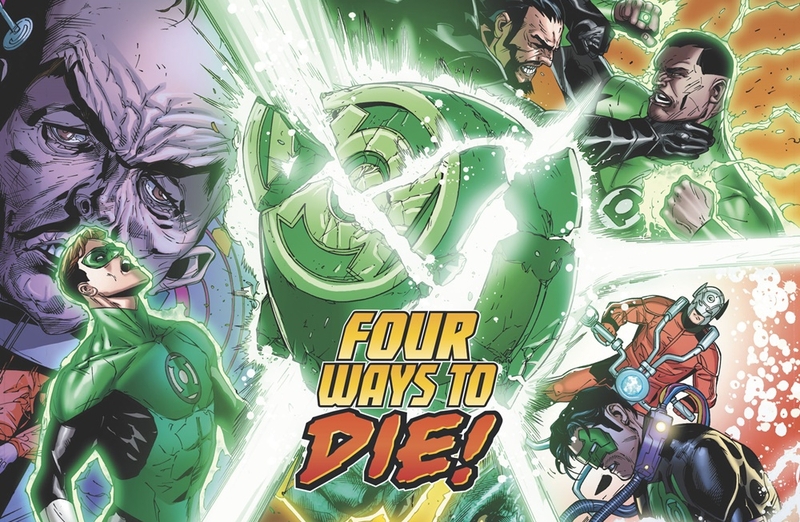 Will Kyle Rayner die from his fatal injuries? 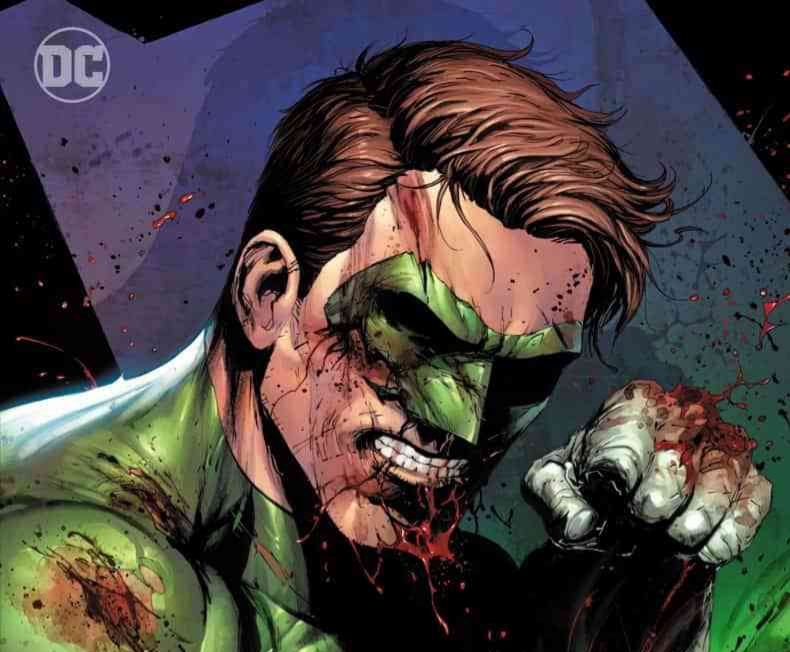 Will Guy Gardner actually do something cool? I’m sure all these burning questions will be in answered in some fashion as this arc comes to it’s thrilling conclusion. 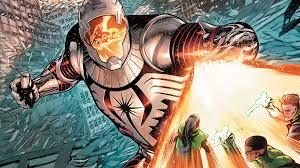 Reminder the following review will contain spoilers, so be sure to read your comics before continuing on.